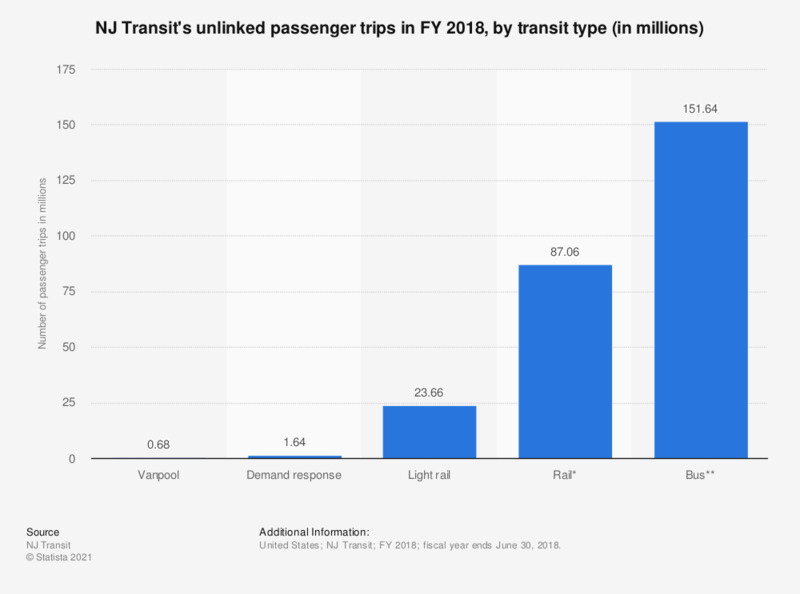 The statistic illustrates the number of unlinked passenger trips provided by NJ Transit in the fiscal year of 2017, broken down by transit type. In that year, NJ Transit reported just under 24 million passenger trips on its light rail lines. NJ Transit is the second largest commuter rail provider in the United States. * Includes Metro North West of Hudson Service data. **Includes NJ Transit bus and contract carrier data.